In 1903 at the University of Tennessee in Knoxville, Dr. Richard Wyche, a professor of literature, organized the National Story League. For 16 years, Dr. Wyche served as president. Interest in storytelling grew and classes were taught in colleges. Leagues were organized locally and affiliated with the National Story League. The National Story League was organized to revive the art of storytelling, and is the oldest organization of its kind in the United States. Leagues are in operation now throughout the United States. The National Story League was conceived in the spirit of service. Hence its motto: Service Through Storytelling. Our objective is to encourage the good and beautiful in life and in literature through the art of storytelling. We try to maintain that standard today. In 2008, the National Story League changed its name to the National Storytellers League. Their magazine Story Art is published quarterly. In 1912, nine years after the founding of the National Story League, Mary Conover organized the Detroit Story League. The high ideals and the dedication of the people in the National Story League attracted Mary Conover who had become Detroit’s first children’s librarian in 1881. Soon after a children’s room was added to the Detroit Public Library, Mary Conover began the first story hour in the country in that room. As new libraries were opened in Detroit, Mary Conover personally trained children’s librarians to become good storytellers. 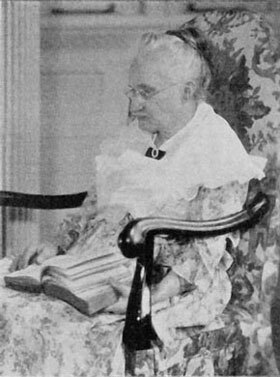 In addition, Mary Conover was instrumental in forming a kindergarten, when it was virtually an unknown concept.